You asked...we listened! Through focus groups, patient surveys and face to face meetings with people in the Waterloo Wellington region, we heard that often individuals didn't know where to go for help or information, especially when they were first diagnosed. This website was developed for individuals and families living with diabetes in the Waterloo-Wellington region to help you find information and services available in your community to support you in living a healthy life with diabetes. The website is also intended for health care providers in the region, as they also asked for help in finding services. Please note, this website does not replace regular visits with your doctor and/or the rest of your healthcare team. The website was developed by the Waterloo-Wellington Diabetes Regional Coordination Centre (RCC), hosted by Langs in Cambridge. The RCC was funded by the Ministry of Health and Long-Term Care (MOHLTC) through the Ontario Diabetes Strategy. The role of the RCC was to organize and coordinate diabetes care in the region, and the web-site was one of the successes achieved. In 2013, funding and the role of the RCC transitioned from the MOHLTC to the Local Health Integration Network (LHIN) and a funding agreement was approved for Langs to continue to support Waterloo Wellington Diabetes including maintaining the regional Diabetes website, Central Intake©, and mentoring services. What is the blue circle in the logo? The logo contains the “blue ring” which is the international symbol for diabetes. 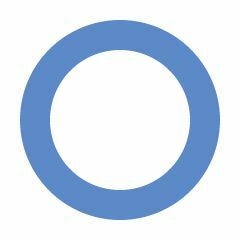 The circle symbolizes unity, and was developed for the campaign for a United Nations Resolution on diabetes in 2006, which resulted in declaring November 14th “World Diabetes Day”. The blue border of the circle reflects the colour of the sky and the flag of the United Nations. The International Diabetes Federation (IDF) holds all rights to the blue circle for diabetes. Permission was received in 2011 to incorporate the symbol into our logo to continue to promote awareness of diabetes. Why was I referred to a Diabetes Education Program? Diabetes is a lifelong condition which may get worse over time. It will require regular appointments with your primary care provider to maintain control. The diabetes programs are available to teach you how to manage your diabetes. They also provide help between appointments by giving you the tools to manage and understand your diabetes. Diabetes education consists of group classes and individual sessions with a diabetes team. Discover what diabetes means and how your blood sugars affect your health. Learn about preventing complications, healthy eating, how to test with your meter, understand your medications and much more! What is a diabetes team? A diabetes team consists of a registered dietitian and diabetes nurse educator, who often have specialized knowledge and certification. If they are nationally certified, they will have the designation Certified Diabetes Educator (CDE). Your team may also include others such as a social worker, chiropodist, pharmacist, kinesiologist, and diabetes specialist. How do I access Diabetes Education? We recommend that you speak to your primary healthcare provider (i.e. family doctor or nurse practitioner) to see if they will refer you for diabetes education. 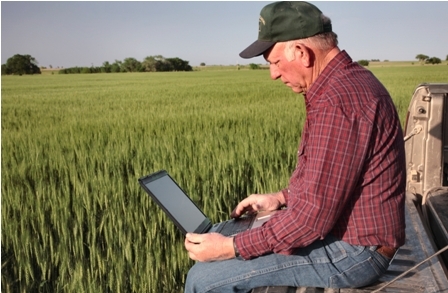 You can also use the self-referral form to access programs in your community. I heard a diabetes-related word I don't know. What does it mean? If you are looking for a definition or for more information about a specific term, check out our Glossary of Terms.